Nicholas Anderson and his girlfriend Tracy weren’t supposed to be headed down the section of U.S. Highway 101 where they found themselves just after midnight on May 26, 2017. 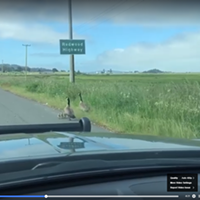 But a glitch with a credit card at a gas station had forced the San Francisco couple traveling to a family reunion to retrace their steps in order to fill up, taking them back down the rural stretch of road north of Willits. Anderson says he recalls immediately sensing something was seriously wrong when he came across a truck with its hazard signals on and a man jumping out of its passenger side with a fire extinguisher in his hand. Then the fiery head-on crash came into view. Nicholas Anderson was honored for helping save five people at the scene of the devastating May of 2017 crash. Anderson’s actions in the following moments of that night would help save the lives of five people, including two young children who were trapped in one of the cars that had burst into flames. 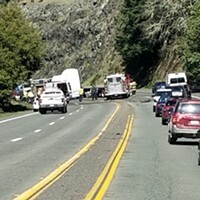 The Delgado family, including a 1-year-old girl, had been driving from Eureka on their way to Disneyland with a 7-year-old Fortuna boy, who was a family friend, when another car drove directly into their path. Wresting open the side door of the Delgado’s truck with the help of another man, Anderson was able to remove the two children from the backseat and hand them off to safety before pulling three seriously injured adults away from the inferno. The two drivers, including Gilberto Delgado, died at the scene. He was 44. Anderson says he stays in contact with the family of the boy that he rescued and has spoken with the Delgado family a few times since the accident. But he hadn’t even heard of the Carnegie Medal, which has been awarded more than 10,000 times since being established by industrialist-philanthropist Andrew Carnegie in 1904, until he received a call letting him know he had been selected for the honor. Anderson says he now regularly visits the fund’s Facebook page to read about the incredible actions of so many ordinary people who, like him, have found themselves faced with extraordinary circumstances and took action. For some reason, he says, “there was a lot of stuff that made us go in the direction” of the crash that night, putting him in the right place to help out. “I’m glad we were listening to whatever was going on,” Anderson says. 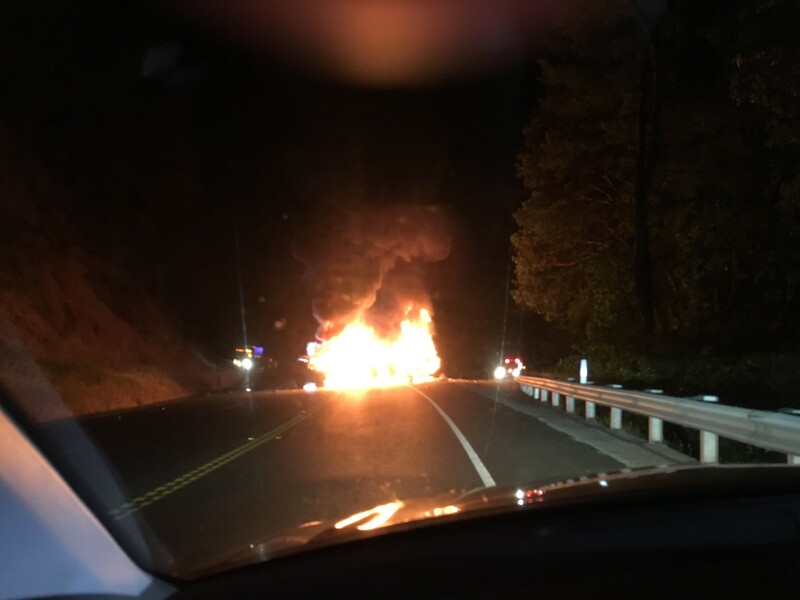 Forty-five-year-old Nicholas Anderson saved five people from burning when he stopped at the scene of a May 26, 2017, accident in Willits, Calif. Six people were inside a pickup truck that collided with an SUV. Fire broke out at the front ends of both vehicles. With another man’s help, Anderson, an operations manager, pried open one of the truck’s rear doors and freed a 7-year-old boy from his seat and removed a 22-month-old girl from her safety seat, handing her off to another person. 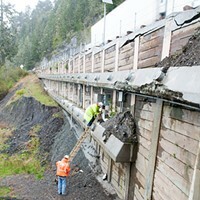 As Anderson moved around the truck to reach the passenger side, he heard a man, 24, moaning from inside the covered bed. He reached through the cover’s rear window and lifted the injured man through it, lowering him to the road. He then entered twice more to remove two women, 19 and 43, from the truck, as flames licked the front windshield. The fire rapidly spread and engulfed both vehicles; neither driver survived. PITTSBURGH, March 18, 2019—The Carnegie Hero Fund Commission today recognized 19 Americans as Carnegie heroes for risking their lives while trying to save others, including six children and three truck drivers trapped in their burning rigs that caught fire after highway accidents. One of the 19 heroes, Van U. Thang, was 17 years old at the time of his rescue. Three others gave their lives during their rescue act: Steven B. Wahler and Bradley Eugene Murphy, who both responded to a mother’s cries for help as a wave carried her 12-year-old son away from the beach in the Gulf of Mexico, and Malik Andre Williams, who jumped into the Mississippi River after his 6-year-old son who had fallen into the water. All three men drowned, but the children they died trying to rescue were saved. 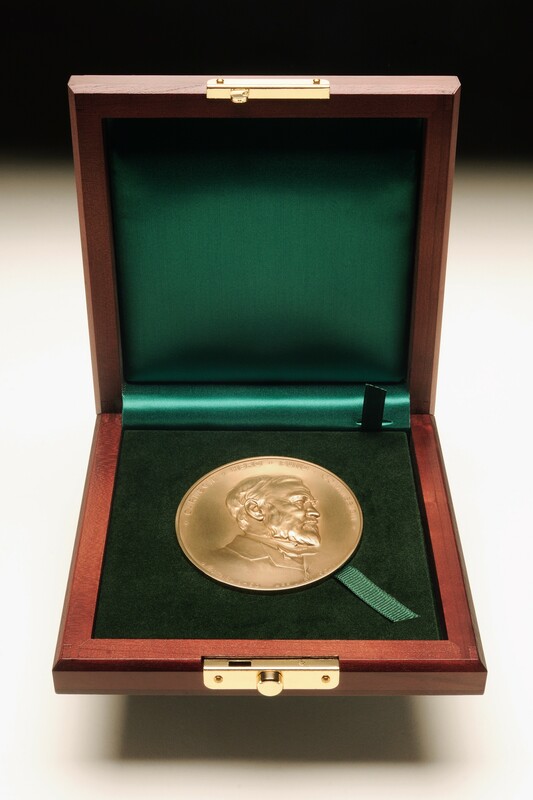 The Carnegie Medal is given throughout the U.S. and Canada to those who risk their lives to an extraordinary degree while saving or attempting to save the lives of others. With this first announcement of 2019 recipients, a total of 10,081 Carnegie Medals have been awarded since the Pittsburgh-based Fund’s inception in 1904. Commission Chair Mark Laskow said each of the awardees or their survivors will also receive a financial grant. Throughout the more than 115 years since the Fund was established by industrialist-philanthropist Andrew Carnegie, $40.8 million has been given in one-time grants, scholarship aid, death benefits, and continuing assistance.